Window shutter. Pigment painting and lacquer on wood; 67 cm x 44 cm. Probably Jodhpur, Rajasthan. c. mid 20th century. 7/4217(1). All over Rajasthan old buildings and palaces have beautifully painted window panels that depict scenes from local history and legends in the typical style of Rajasthani miniature painting. Generally such window shutters have paintings executed on both sides so that both interiors as well as exteriors are equally well adorned. 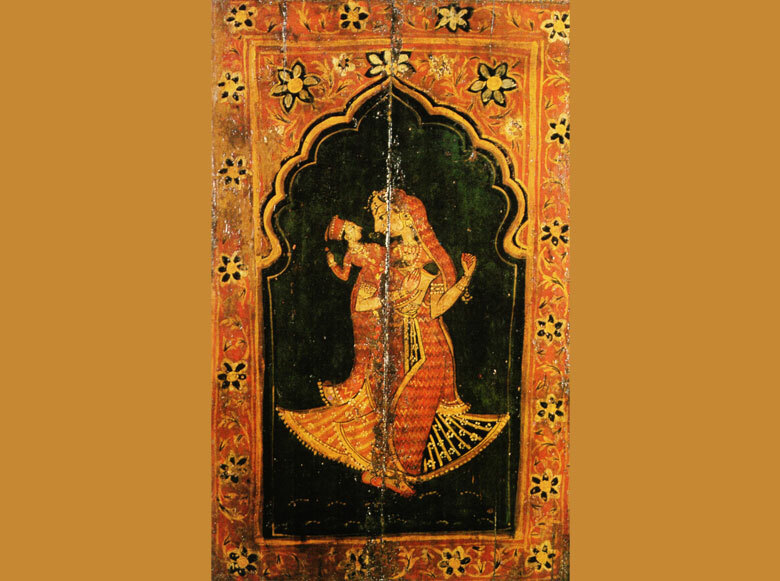 Standing beneath a typical arch or mehrab, this Rajasthani woman in lehanga, or long skirt, delicately fanning at her feet and odhni, or head cloth, gracefully placed over her head, is depicted holding her son in the graceful stance of a dancer. 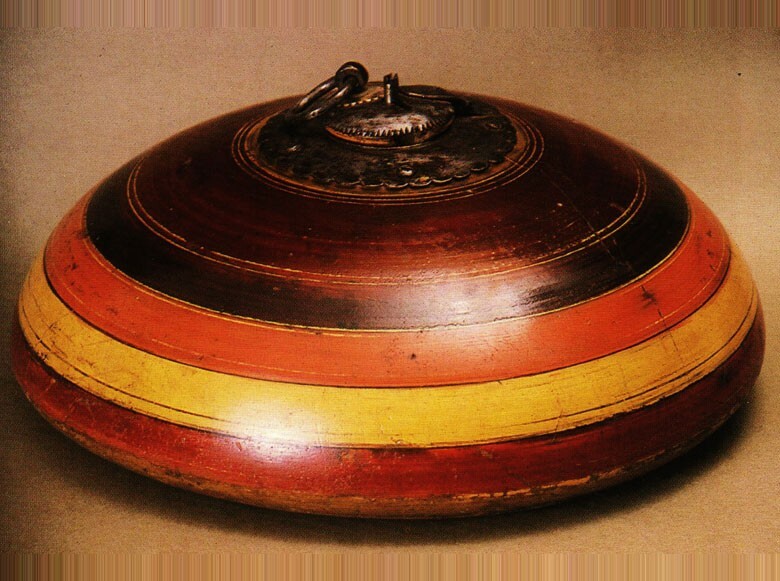 Kuppi, gunpowder case. Pigment and varnish on wood and gourd; 24 cm x 36 cm. Rajasthan. c. early 20th century. 7/3090. Gun powder cases, like this one, with a long carved spout and originally with small lid, were hung on the waist by warriors or travellers. 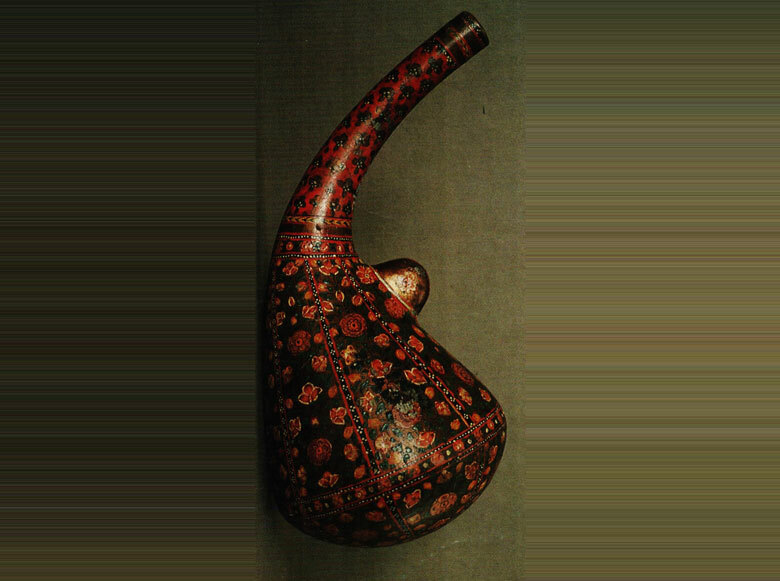 The subtle floral ornamentation on the “battle” accessory is a respite from the otherwise severe function of the artefact, a practice typical of Rajasthan desert art. 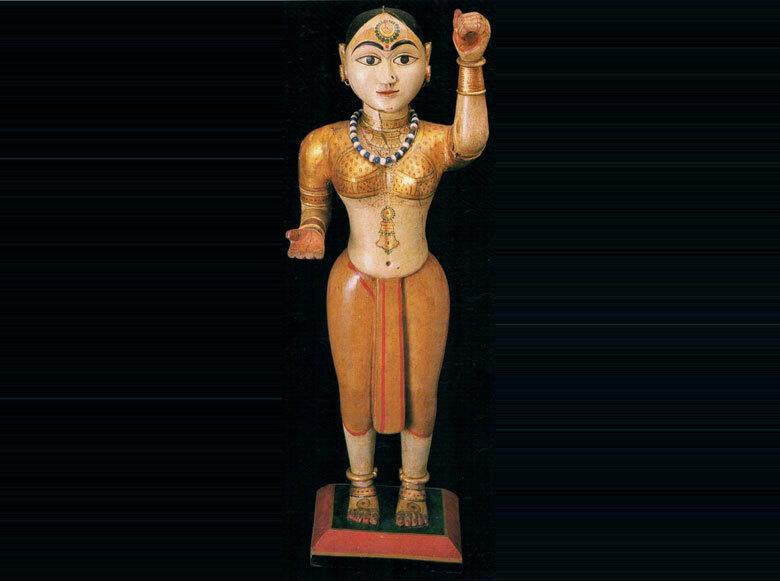 Ganagor, local form of goddess Parvati, consort of god Shiva. Pigment and varnish on wood; 71 cm x 24 cm. Rajasthan. c. mid 20th century. 84/6727. Box. Polychromed and varnished wood; 7 cm x 46 cm x 23 cm. Sawantwadi, Maharashtra. Contemporary. 87/I/D. 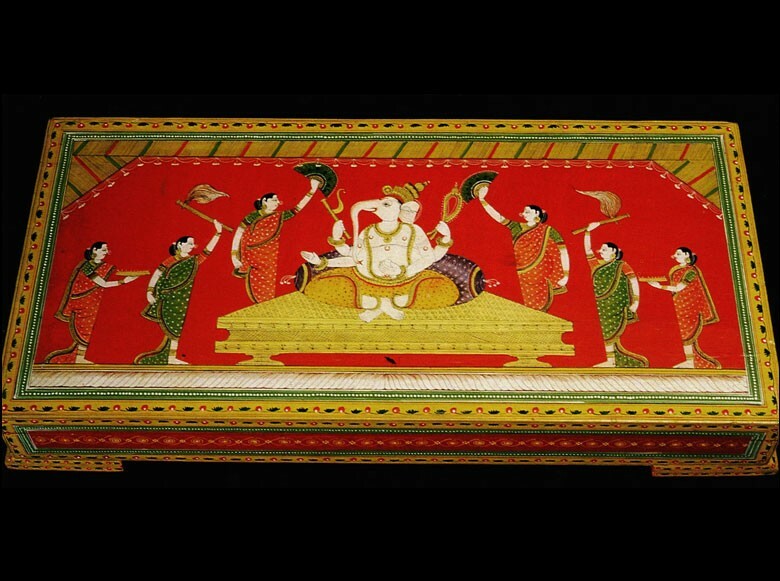 This rectangular box, painted in the traditional style by the chitrakars or painters of Sawantwadi, depicts lord Ganesha being attended by female fly-whisk bearers and attendants clad in sarees worn in the Maharashtrian style. The bright yellow and red colours, along with the floral creeper on the edges are typical of the work in the region.